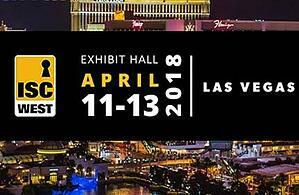 Planning on attending the International Security Conference and Exposition in Las Vegas next week? Come see us in the Z-Wave Alliance Booth # 30078 to learn more about how the Clare smart home solution can expand your business. Clare's solution is easy-to-install, reduces truck rolls, increases customer retention, and scales to meet the needs of any home, entry level to luxury. In addition, we'll be showcasing our comprehensive builder program. Clare's unique builder program is not a series of products, but rather an all-inclusive solution designed to market and sell smart home technology in new home construction. From model home materials, to homeowner support, Clare offers a complete set of marketing and sales tools to drive customer satisfaction. Stop by the booth for a sneak peak of what we'll be releasing soon. We look forward to seeing you in Las Vegas!